If your morning is hectic (whose isn’t?) 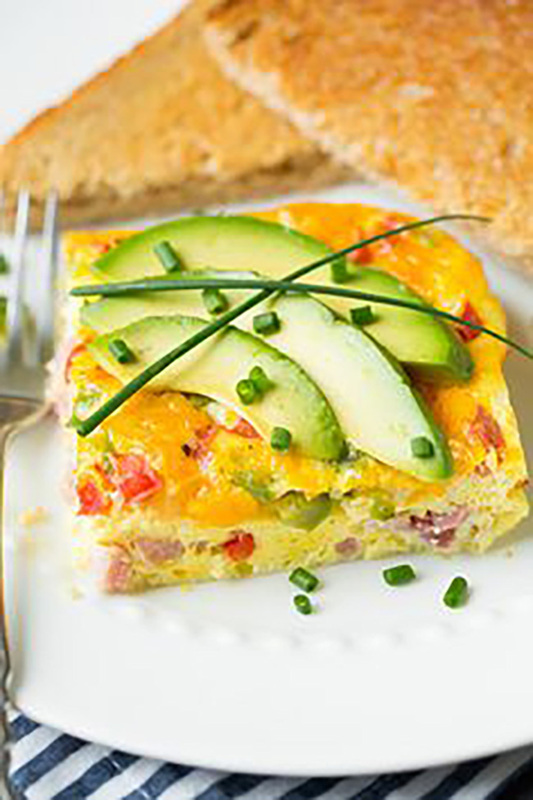 make breakfast an easy and healthy meal with these make-ahead ideas. From egg casserole to cinnamon rolls good enough to be desserts, get these on the breakfast menu now. 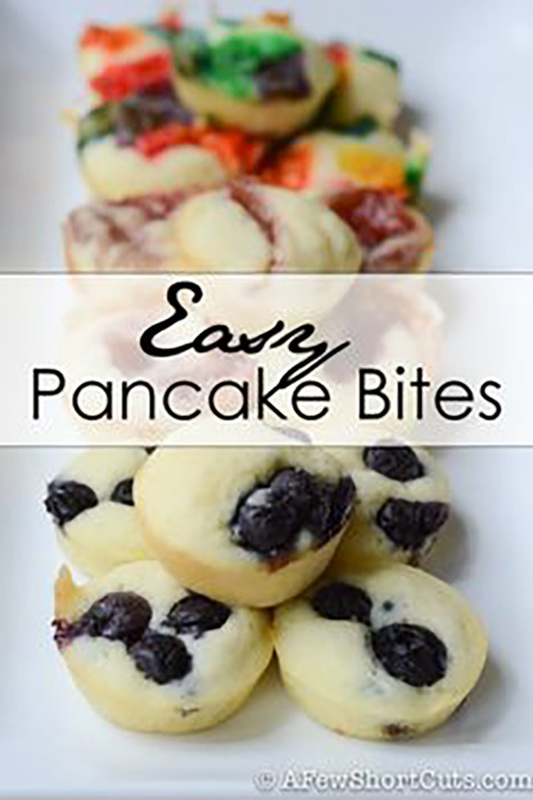 Easy Pancake Bites – – Quick & Simple Breakfast! Make this Easy Pancake Bites Recipe! Make them ahead and freeze them, even make them gluten free! 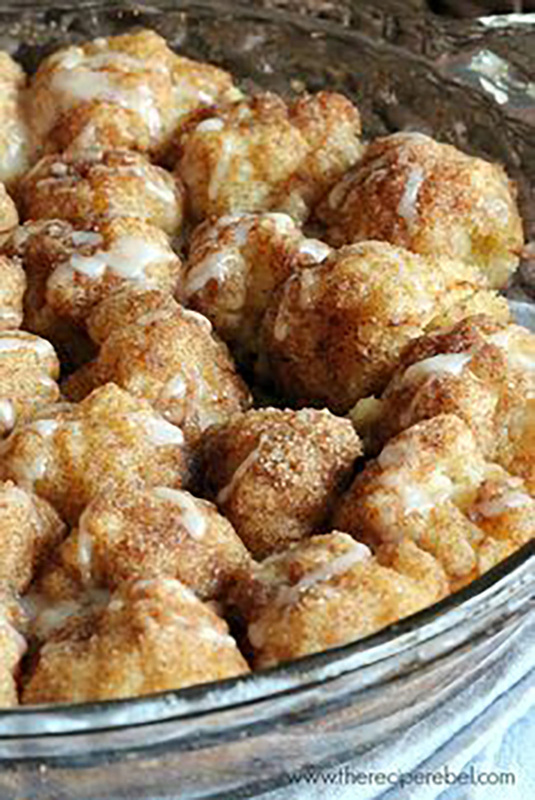 Cinnamon Roll Bites – – Cinnamon Roll BItes: made easier with biscuit dough, homemade or store bought! 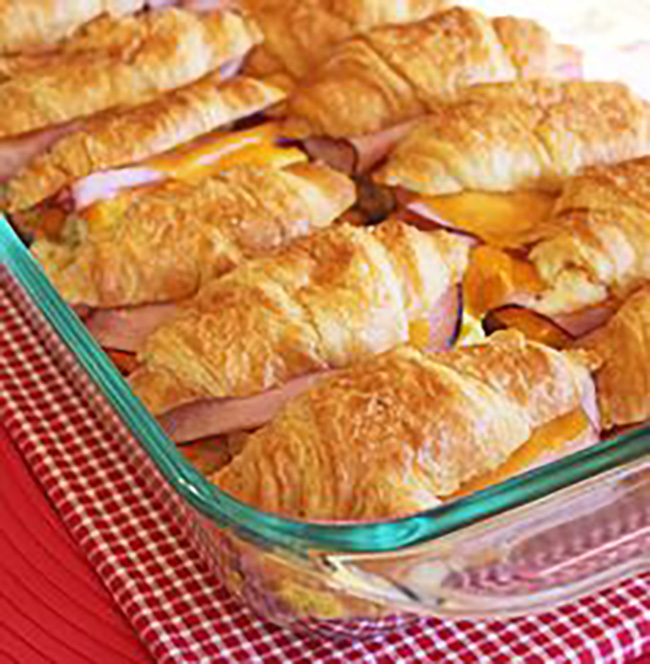 A quick, easy make ahead breakfast, brunch or dessert! 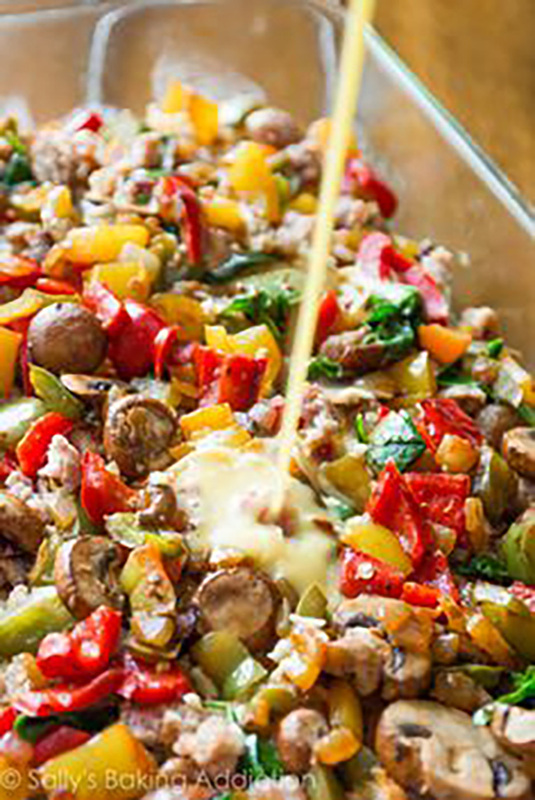 Crock Pot Overnight Breakfast Casserole – – Crockpot Overnight Breakfast Casserole recipe is a classic make ahead breakfast casserole with eggs, sausage, bacon, hash browns, and cheese, Great for the holidays and a crowd. Make-Ahead Cinnamon Rolls – – Make ahead and freeze before baking! 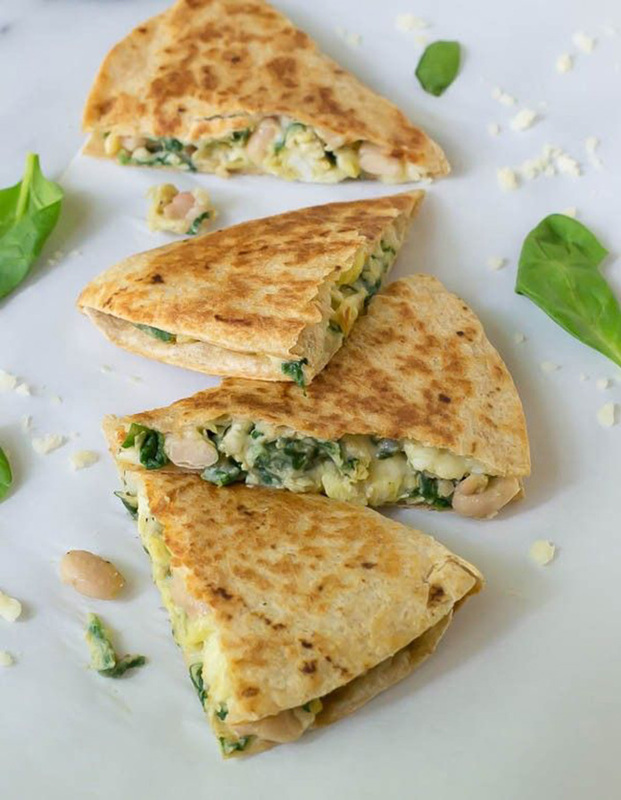 Freezer Breakfast Quesadillas – – How to make and freeze breakfast quesadillas ahead so that you have a healthy breakfast on hand at all times! 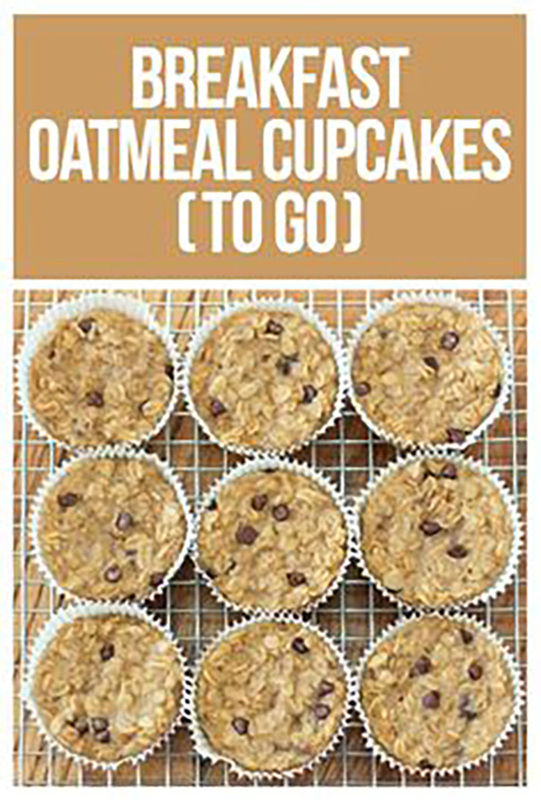 Breakfast Oatmeal Cupcakes – / – GRAB AND GO with these make ahead breakfast cupcakes. 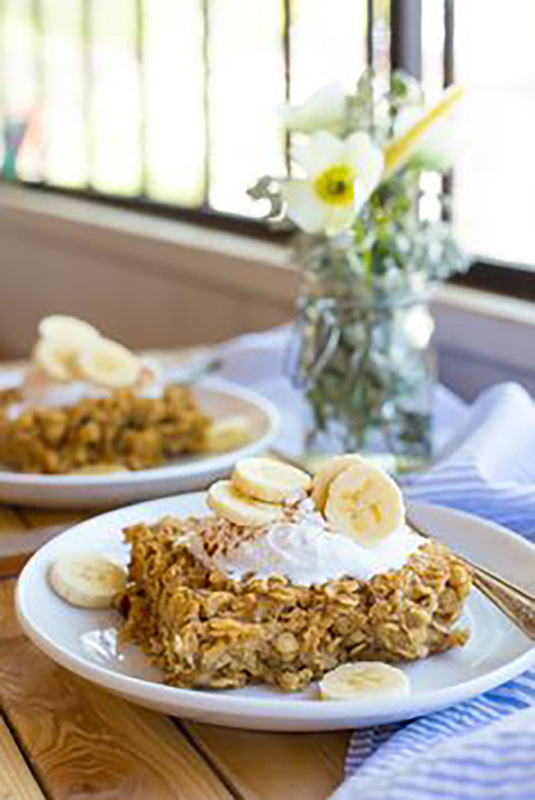 Peanut Butter and Banana Oatmeal Bake – – This peanut butter and banana oatmeal bake is the perfect healthy make ahead breakfast! 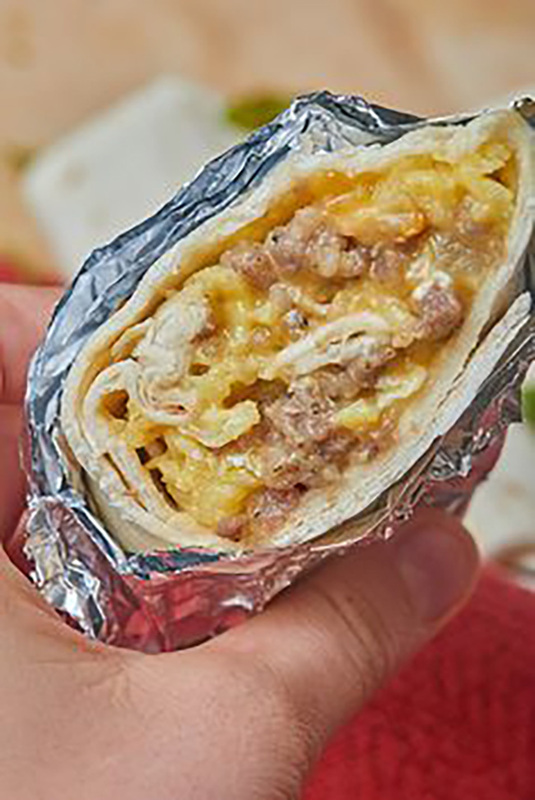 Easy Make-Ahead Breakfast Burrito – – These breakfast burritos are so hearty and filling thanks to the sausage, gooey from the cheese, creamy from those perfectly cooked eggs, and you get your veggies in with the bell peppers! I love that you can take it on the go, because it’s wrapped in that ammmmazing tortilla! 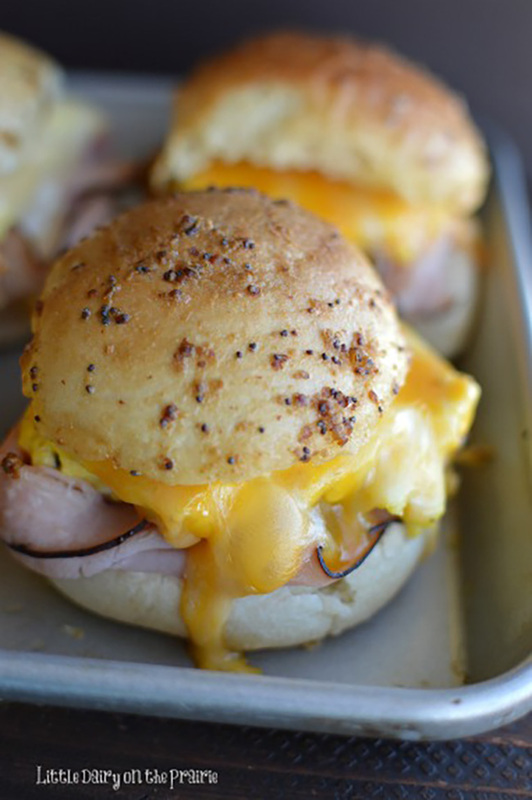 It’s a well-rounded breakfast that’ll keep going all morning long! 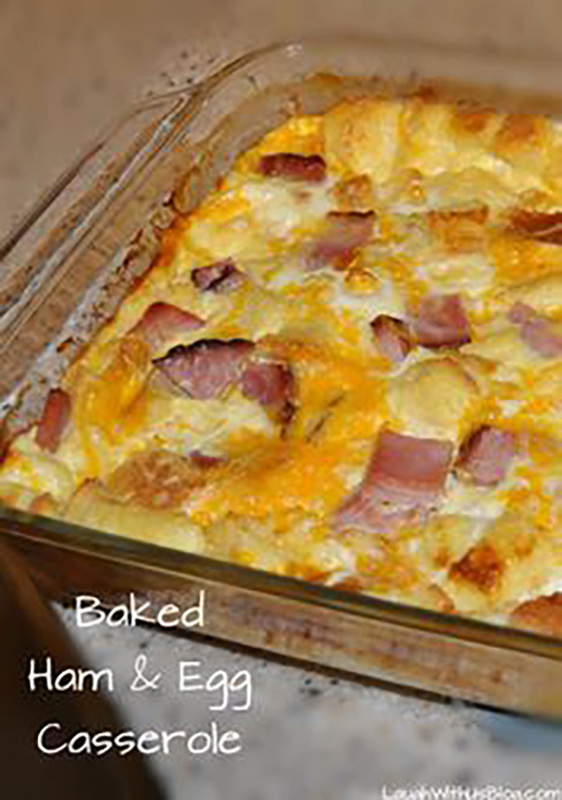 Baked Denver Omelet – – Baked Denver Omelet – we LOVED this easy version of an omelet! 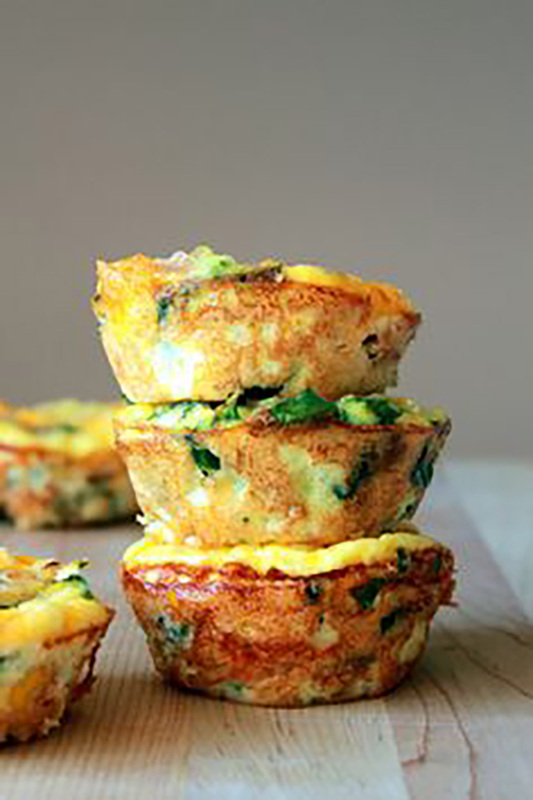 Low carb and perfect make ahead breakfast! 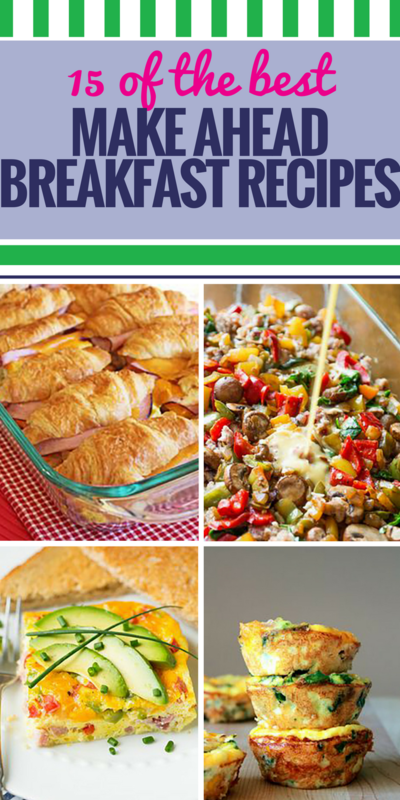 Easy Make-Ahead Breakfast Casserole – – Easy breakfast casserole you can freeze or make the night before! 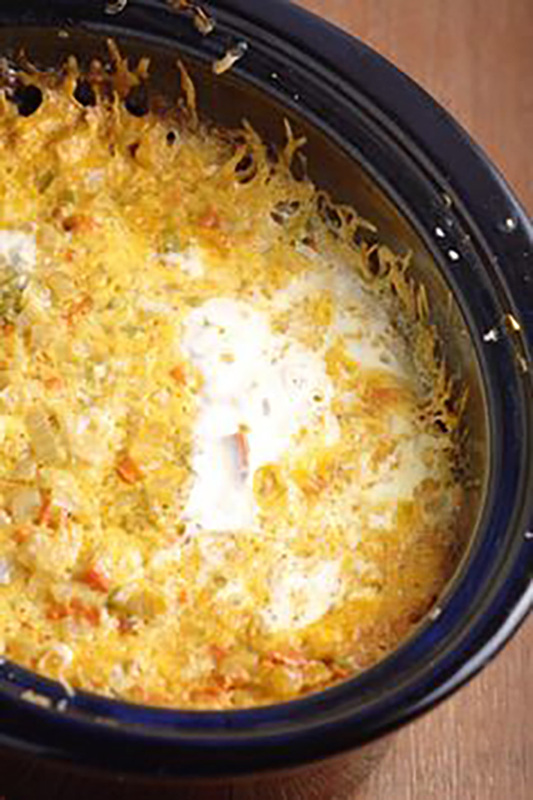 Use your favorite vegetables, meats, and cheese. 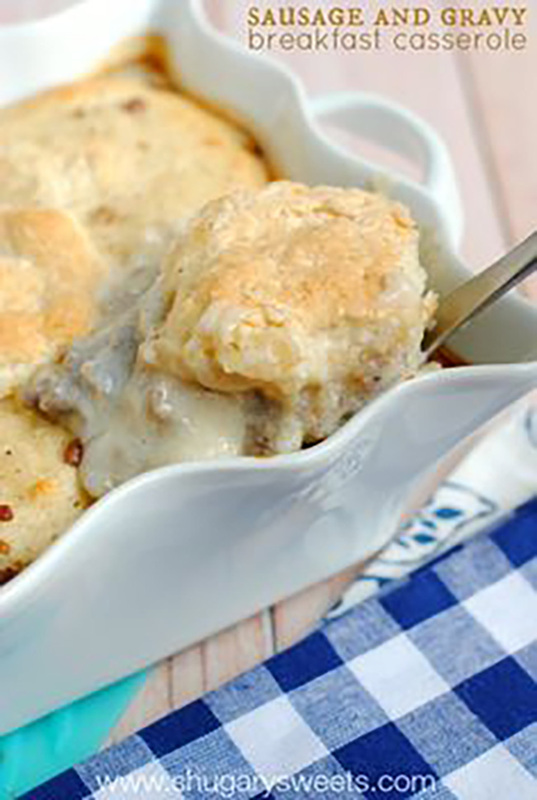 Sausage & Gravy Casserole – – Sausage and Gravy Breakfast Casserole: this delicious, make ahead breakfast idea is perfect for those hectic mornings or holidays!